Tis the season, and that means you are probably thinking about, or if you are an early bird, already out getting presents. It’s exciting getting gifts for people, anticipating the looks on their faces when they receive something you know they’ve always wanted, or you think they’ll love. You’ve spent hard earned money on your gifts, so it would be a shame if something were to happen to them before you have a chance to give them. Below are some tips for storing your Christmas gifts safely, and keeping them secure this holiday season. You might not even need to think about storing them safely once you get home if you haven’t stored them safely while you are at the mall. Christmas shopping often involves driving to a couple of different stores or malls in order to find deals, and to find everything you’re looking for. Thieves love the holiday season because they can be sure that parking lots are going to be filled with cars that contain holiday loot. If you are out shopping and have items in your car, either keep them in the trunk, or, if there is no space, make sure that they are well hidden. Once you’ve gotten your gifts home, you will want to find somewhere safe to keep them, out of the way of prying hands and eyes. Often this means an attic, a crawl space, or an obscure closet somewhere. Make sure when you are putting gits away, you don’t accidentally place breakables at the bottom of the pile. When it comes time to wrap, you might find yourself looking at a broken set of wine glasses, or a broken piece of electronics if there is a set of new dumbbells sitting on top of them. 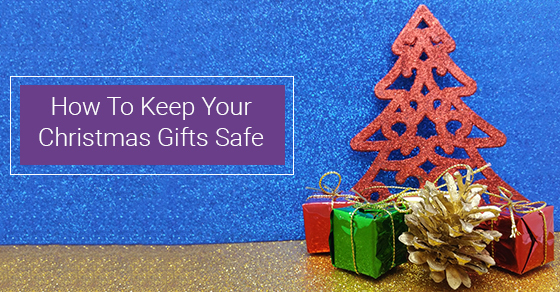 If your gifts include things that are temperature sensitive (perhaps electronics), make sure that they are stored in an environment where they are not going to be damaged because of extreme temperatures. This might seem like a moot point, given that everything is likely to be vacuum sealed, and in a cardboard box, but cold can penetrate cardboard and plastic, easily. Better safe than sorry. You’ve gone out and put the time and effort into getting the perfect gifts for all the important people in your life, don’t have it all be for nothing with irresponsible storage. Keep your gifts safe this holiday season, and make sure to keep the above storage tips in mind.